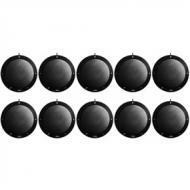 Jabra Bluetooth speakerphones are counted as one of the important speakerphones. Jabra also has set a marvelous track record in producing great quality speakerphones and dazzled us all beyond our imaginations. Jabra Bluetooth Headsets are premium portable speakerphone with fantastic sound for the conference calls as well as music as these are counted as the best wireless headsets for concentration even in the open office. Jabra Bluetooth Headphones gives you a freedom to roam so you can enjoy full wireless freedom with an extensive range of Bluetooth headphones. With Jabra Bluetooth Speakerphones you can take advantage of crystal clear conversation when you are walking outside the home as Jabra Bluetooth Headsets come with amazing wearing styles that give you more dazzling look. Jabra Bluetooth Headphones also makes you feel easy and hands-free calls both in the car and in the office. When you’re driving your car, you can activate voice-activated call commands with stream audio content while office speakerphones make you easy in call conferencing. Jabra Motion Office Microsoft Optimized Wireless Headset is a highly recommended Bluetooth supported wireless headphone device which have been equipped with amazing features including automatic sound levels enhancement according to the environment and auto adjustment of sound volume with respect to the background noises. Jabra Motion Office Microsoft Optimized Wireless Headphones are mono headsets which contain intelligent motion sensor technology and users are able to receive and handling calls just by picking up the headphones. These headphones have been specially optimized to be used with Microsoft lync and Microsoft communicator to make it feasible for a large variety of users. Jabra Motion UC Wireless Headset with Travel Charge Kit is one Jabra's intelligent designs as it provides comfort and self-integration for users. Comprised of multiple features that can benefit a user remarkably, this unit may be the only headset that you will ever need. One of the reasons why the Jabra Motion UC Wireless Headphone with Travel Charge Kit is very handy is because it is one of Jabra's most versatile builds, as it can be compatible with numerous devices in just one tap. Aside from it giving extra mobility for the user, it also provides portability as it packs a charger kit that can be easily be carried along. Now upgrade yourself with Jabra Motion UC Bluetooth Headset which has all the features for all types of users. 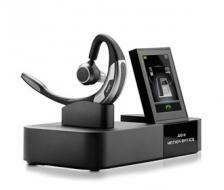 Jabra Motion UC headset comes with the travel charge kit which is fully Microsoft optimized. So, use Jabra Motion UC Bluetooth Headset with Travel Charge Kit Microsoft Optimized with wind-noise protection as well as high definition sound. You can use it in the office or on the go. 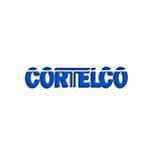 It is specially designed for your maximum convenience and giving you more comfort. 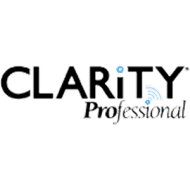 It helps simplify your busiest lifestyle. In short, this is the only headset you’ll ever need. 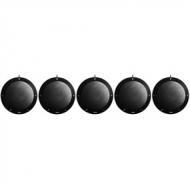 Jabra headsets are counted as one of the most important headsets all over the world. When it comes to models, Jabra Style White Bluetooth Headset is the only one that comes with all the features for all types of users. Jabra Style White Bluetooth Headphone demands are increasing constantly because of its white color which changes the look entirely. Headsets are becoming more important part of our lives but it’s hard to find the perfect one with all the features for all types of users. But Jabra SPEAK 410 5 Pack USB Speakerphone is counted as the best USB speakerphone as its features are most manageable and highly beneficial for everyone who uses speakerphones. 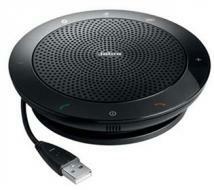 Jabra SPEAK 410 5 Pack USB Speakerphone is also compatible with Unified Communication solutions & VoIP Clients. Headsets are becoming more important part of our lives but it’s hard to find the perfect one with all the features for all types of users. But Jabra SPEAK 410 10 Pack USB Speakerphone is counted as the best USB speakerphone as its features are most manageable and highly beneficial for everyone who uses speakerphones. 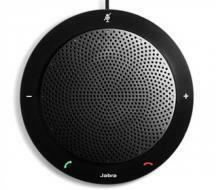 Jabra SPEAK 410 10 Pack USB Speakerphone is also compatible with Unified Communication solutions & VoIP Clients. Now upgrade yourself with Jabra Speak 510 UC Bluetooth Speakerphone as it is an update to the popular Speak 140 conference phone. 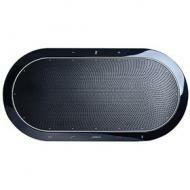 This is considered as a unique portable speakerphone which has Bluetooth in it. Jabra Speak 510 UC Bluetooth Speakerphone comes with more exciting features such as Bluetooth connectivity, numerous of control buttons and a high-quality omnidirectional microphone, HIFI/wideband, extended battery life, and much more. 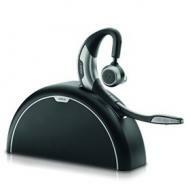 If you are looking for a conference speakerphone, here is a prime quality Jabra Speak 810 UC Bluetooth Speakerphone. You can connect this speakerphone with three different ways: via USB, Bluetooth or 3.5m Jack for smartphones and tablets. 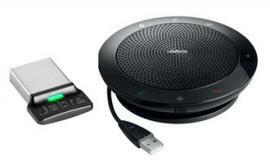 Jabra Speak 810 UC Bluetooth Speakerphone is the best choice for conference calls. You can make a conference call with up to fifteen people with no worries at all. Jabra Speak 810 MS Microsoft Optimized Bluetooth Speakerphone is designed for Microsoft Lync, it's a premium quality conference speakerphone which can be connected with 3 different ways: via USB, Bluetooth or 3.5m Headset Jack for Smartphones and tablets. 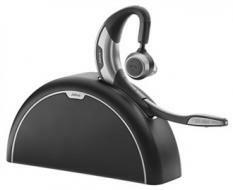 Jabra Speak 810 MS Microsoft Optimized Bluetooth Speakerphone has a wide of connectivity range in the Jabra Speak Series, it can manage up to 15 people at a time and is very easy to setup with the plug-and-play option.